The Chevron Festival Gardens aren’t always sonically suitable to the western artists invited to the so-called ‘International Arts Festival’. On Wednesday night, a wall of truly international sound consumed the gardens. 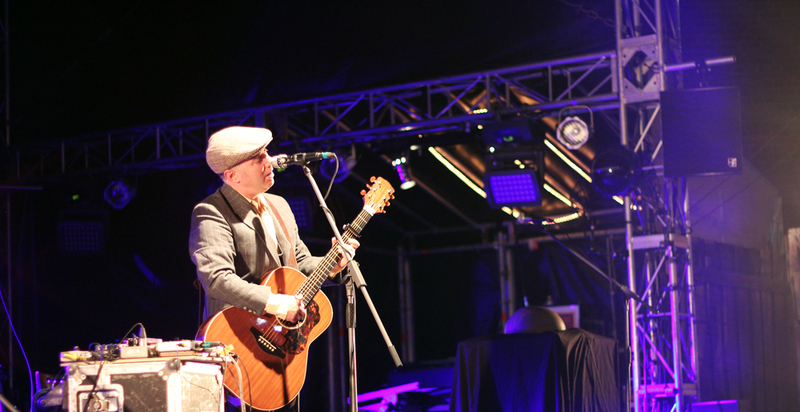 A broad range of demographics filled into the venue whilst Australian artist Jeff Lang warmed up. He opened the night with expressive and succinct guitar work. 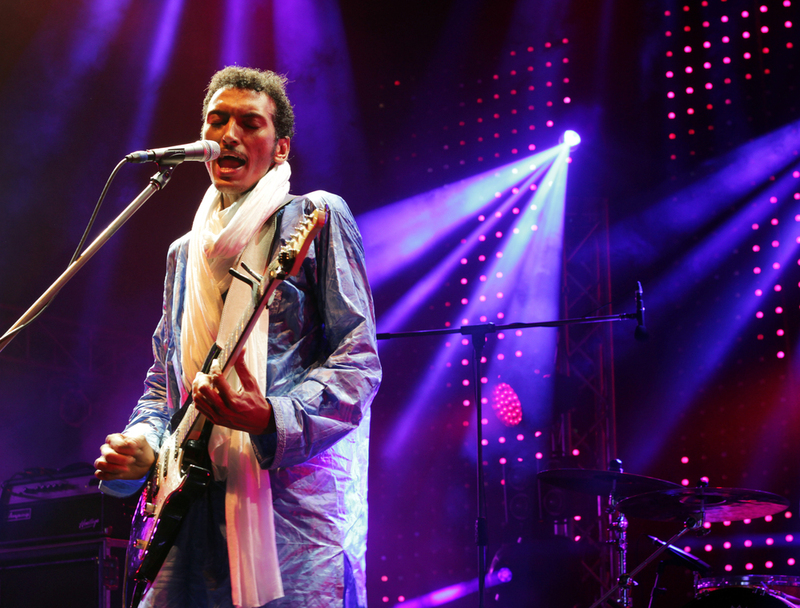 As Bombino took their seats on the stage, I noticed some cross-pollination within the group. Opening with the quieter acoustic songs of their repertoire, Moctar’s soft voice dominated. The lighting in the complex amazed patrons as they prepared for a truly spectacular performance. With a few albums under his belt, Moctar, 35, plugged in after roughly three songs for his full 2 hour electric set that explored both Tuareg and western styled energetic ballads. Stylistically, they used their conventional instruments to their full capacity. 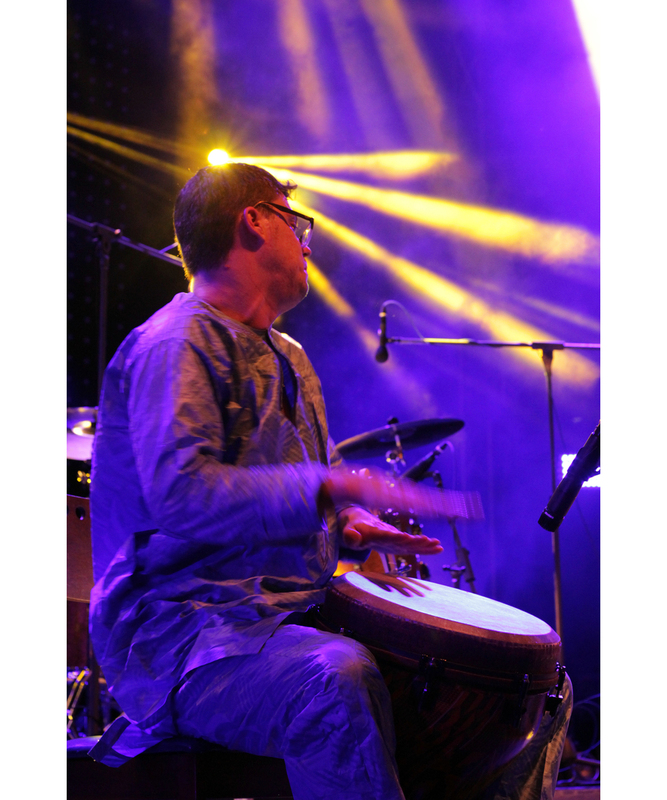 They did not change instruments frequently to diversify their style; they used a variety of North African time signatures and rhythms to achieve a massive sound in the Festival Gardens. As the night progressed I noticed more over 50s sleeping to the far from soft sounds of Bombino. Despite this, the fearless leader relentlessly played well over the prescribed time, with even an encore of three tracks. There is something intrinsically special about seeing the first gig of a national tour. 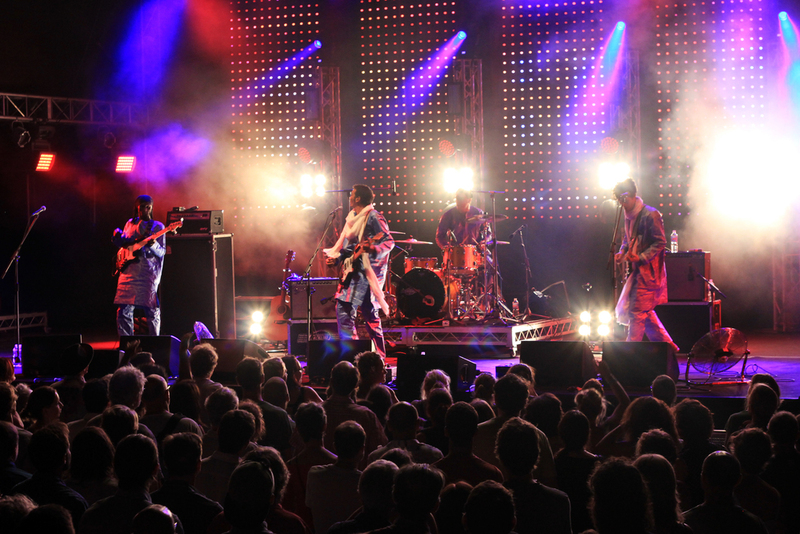 Particularly when the band is as unique as that of desert blues band Bombino. The band members had a genuine smile on their faces throughout the evening and after the show were available for photos and handshakes, a testament to their hardworking showmanship.